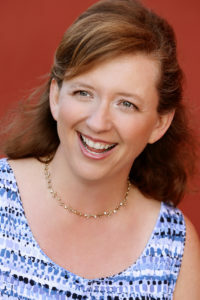 After a successful career as a litigator in ‘big law,’ and with more than a dozen years’ experience in the corporate world, certified professional development coach and transformational catalyst Lori A. Noonan now brings her unique skills set to the forefront in helping women lawyers fall back in love with the practice of law. She mentors women lawyers in mid to large law firms who originally went into the legal profession full of enthusiasm, drive, and a deep sense of purpose. They truly had dreams of changing the world! Along the way, however, as they have moved up the ranks at their firms, these bright and well-intentioned lawyers have become increasingly less focused, less motivated, and even a bit disillusioned. Lori helps them get back on track, emerging with a renewed vitality and zest for practicing law with passion, purpose, and meaning. Lori is an honor’s graduate of the University of California at Berkeley, and holds a Juris Doctorate (JD) from McGeorge School of Law. She is Certified in Professional Selling Skills (PSS) and a Certified Professional Coach (CPC). Author, Aerospatiale v. US Dist Ct: Supreme Court Interprets Hague Convention on Taking Evidence Abroad (1 Transnatl. Law 367). She is also the author of the forthcoming book, The Bus Stops Here: Breaking Free from the Unhealthy Ties That Bind.